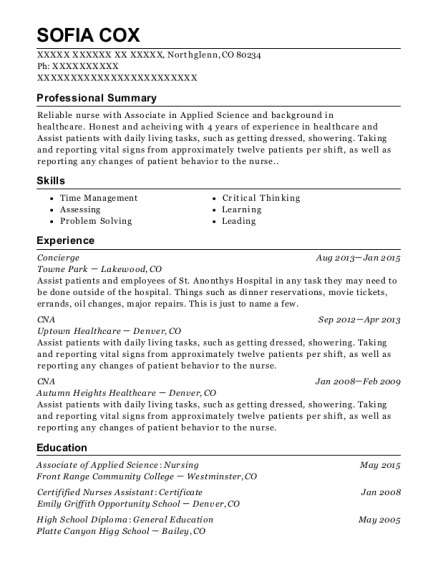 Responsible and proficient. Passionate and motivated, with a drive for excellence. Call client's to remind them to send in their application for life insurance. Call client's to assist them in scheduling their telephone interviews. Answer incoming calls and assist customers with technical support for issues with their cable or internet. Entered data into an Excel spreadsheet. Schedule and oversee projects to ensure they were finished correct and on time. Quality check projects in production. 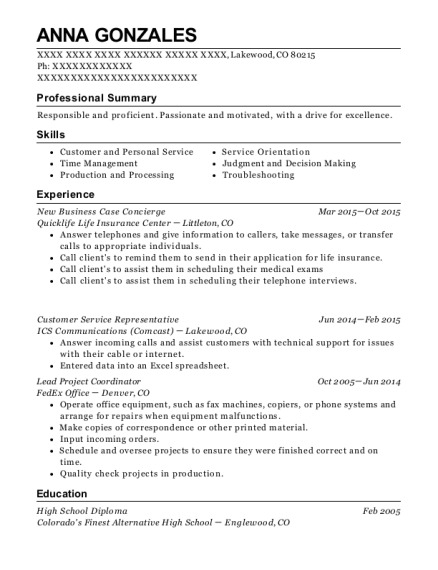 This is a resume for a New Business Case Concierge in Lakewood, Colorado with experience working for such companies as Quicklife Life Insurance Center and ICS Communications Comcast. 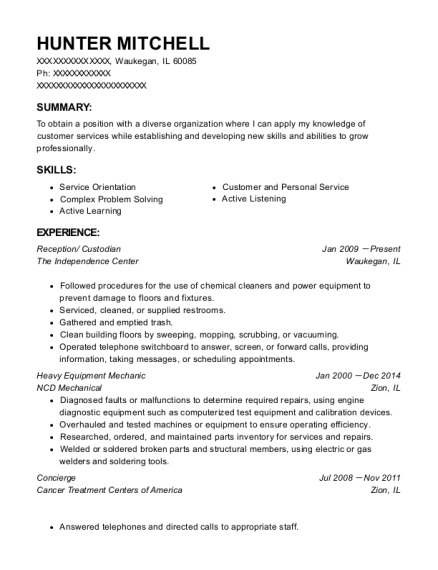 The grade for this resume is 0 and is one of hundreds of New Business Case Concierge resumes available on our site for free. 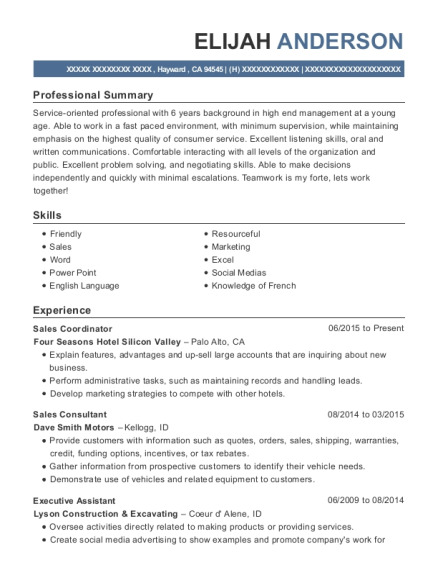 Use these resumes as templates to get help creating the best New Business Case Concierge resume.